Who’s ready for fall? I love summer, but when fall rolls around it creates a different mood in the air, don’t you agree? The changing leaves and fall festivities are some of my favorite things about the season. Something else I enjoy during the cooler time of year is snuggling up to a wood burning fire with hot cocoa in my pj’s. Speaking of pj’s – have you seen the adorable character “Ski with Me” thermals by Richard Leeds International? Get ready for fall with these character pj’s! A big thanks to today’s sponsor for the product and giveaway prizes! As you know by now, we are big fans of Marvel, Disney and Universal characters. My little guy has been obsessed with Minions since the first film released years ago. His favorite minion, Bob, joins him wherever we go. It’s really adorable! So, when I teamed up with Richard Leeds (RLI) for their new thermals that released in Walmart earlier this month, there was no question in my mind – it was going to be Minion pajamas. You should’ve seen L’s face light up when they arrived! He was smitten. Now I’m prepared for cooler weather with adorable new character pj’s. They are so comfy and flattering too! By the way, they have seven different thermal styles available at Walmart including Eeyore, Minions, Hello Kitty, Disney Classics, Pooh, DC Comics, and Looney Tunes. Check out their full range of pajamas here including adult fleece pajamas. Which character is your favorite? You’ll have many chances to win a pair of thermal pj’s below! 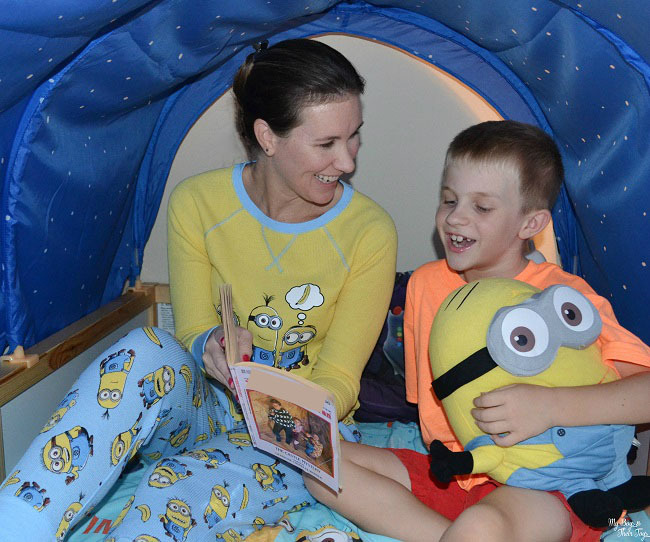 Yep, that’s right- our sponsor is giving away 36 character pj sets to 18 winners. How awesome is that? Read on for details. 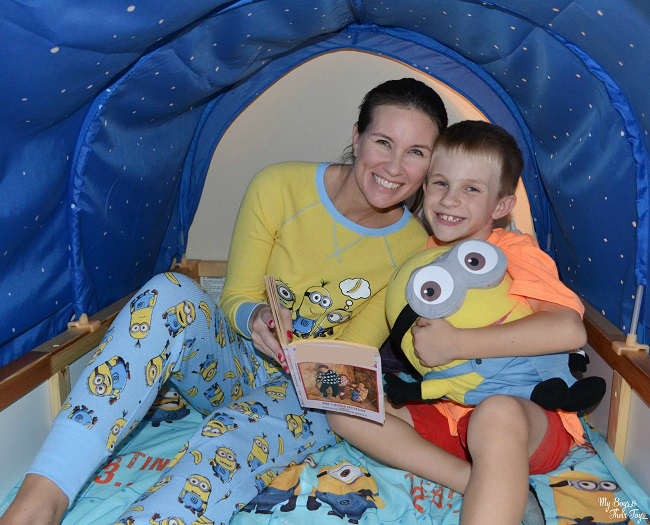 Enter below for your chance to win a character thermal pj set by RLI! Total giveaway value is almost $600! Im gonna go with large. In case they shrink I like o be comfy! I love the leaves changing colors and falling, the cooler weather, soups, baked goods, and the fresh air smell. I’d take a small. So cute!